I love to bake! Spending time in my kitchen with the various ingredients all around me makes me so incredibly happy. My holiday baking season starts every year, on the Tuesday before Thanksgiving while I’m baking pies for the big day, and continues straight through until Christmas Day … and sometimes a little bit beyond that if there is additional family and friends we have yet to see. 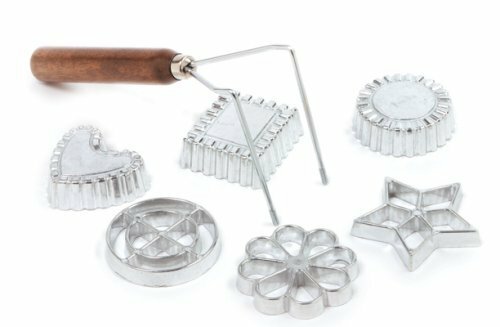 If you love to bake, you probably have a lot of these holiday baking essentials on hand already. Don’t worry if you don’t have all of the tools of the trade on hand though. 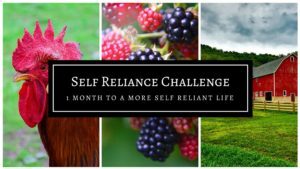 Purchase a few new ones each year to build your collection! These are the tools everyone should have in their kitchen. I prefer metal measuring spoons because they don’t hold onto flavors the same way plastic tends to do. 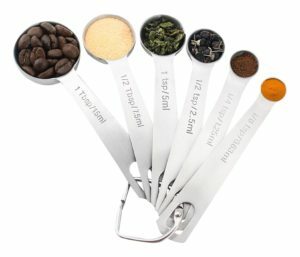 This set has six spoons ranging in size from 1/8 of a teaspoon to 1 tablespoon. 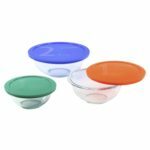 Dry measuring cups are necessary measuring dry pantry items like flour, sugar, and cocoa powder. 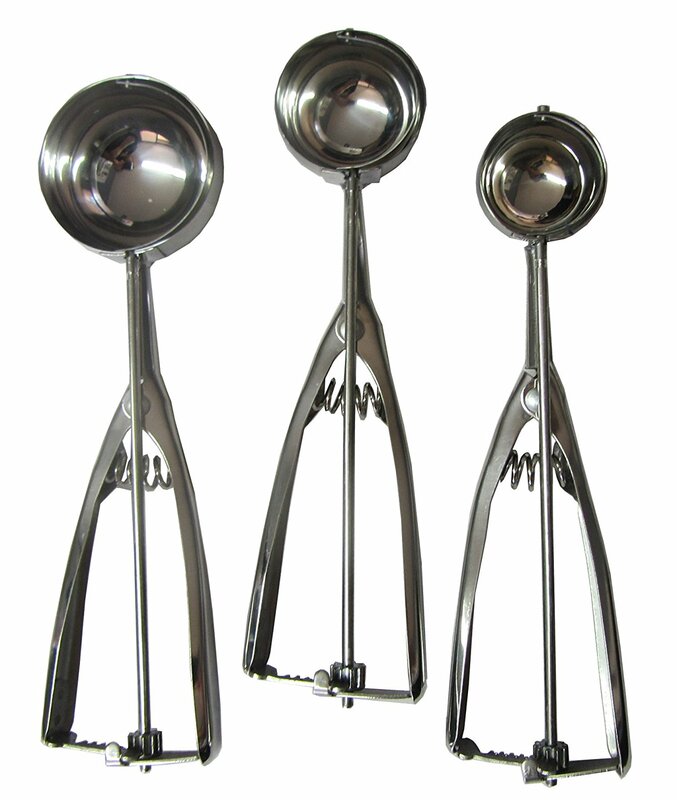 Metal measuring cups don’t build up static and the full measure of the ingredients will go into your recipe. A glass liquid measuring cup is essential. I prefer glass to plastic because it won’t pick up flavors, and the glass is microwave safe for when you need to heat an ingredient prior to adding it to your recipe. 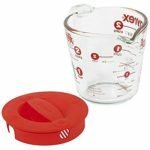 I like this measuring cup with a lid because I can measure out my liquid ingredients in advance, and then cover them in the fridge until I’m ready to cook or bake. I go back and forth with which style mixing bowls I prefer, and most of the time, this Pyrex set wins out. I like that they are microwave and dishwasher safe. They also can nest over your existing pots to make a double boiler. I like the lids because I can pre-measure my ingredients and cover until I’m ready to bake, or I can use them as serving bowls and cover up the leftovers in the fridge. 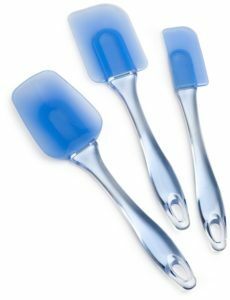 Silicone spatulas are good for mixing and scraping down the sides of your bowl, but they are also heat safe, often up to 500º, making them safe for cooking too. 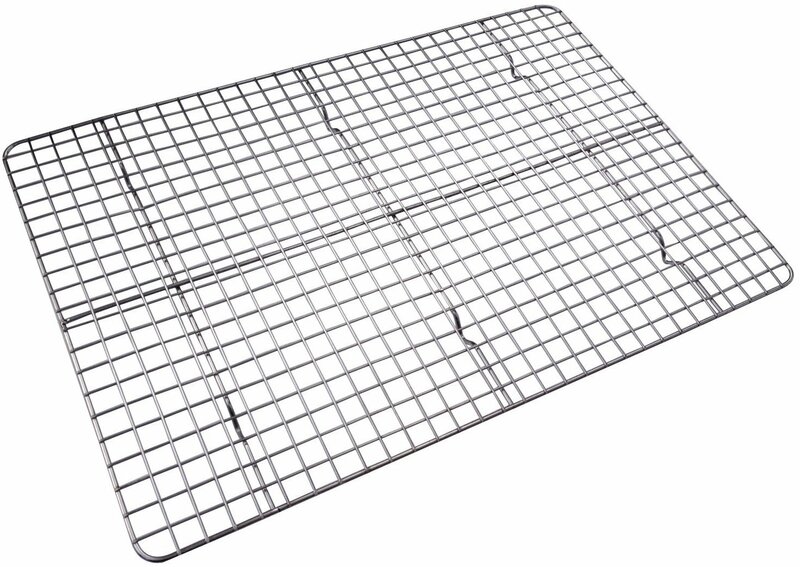 You need to have baking sheets on hand whether you plan to make cookie, turnovers, or even heating up frozen appetizers and snacks. At minimum, you should have two, but my preference is four so that two are in the oven, and two are on standby waiting to go in the oven. It makes baking go a bit faster. Pie plates are the obvious choice for pies and quiche, but they also make a terrific small baking dish. 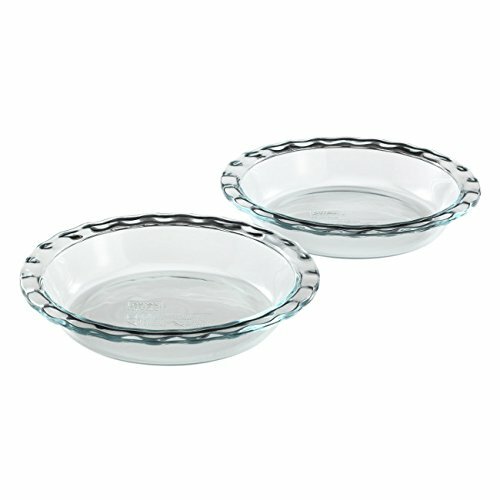 If you choose a glass pie plate, you can check the doneness of your pie crust before pulling your pie from the oven. I like these 9 1/2″ deep-dish pie plates, and have several in my collection. Every home cook needs to have a mixer. I have had my Hamilton Beach electric hand-mixer for 15 years, and it is an amazing workhorse. It works well for cookie dough and cake mixes, but also for making homemade whipped cream or mashed potatoes. The following items are nice to have if you’re going to be doing a lot of baking, and will definitely make the job easier. A Kitchen Aid stand mixer is high on the wish list of many home cooks. 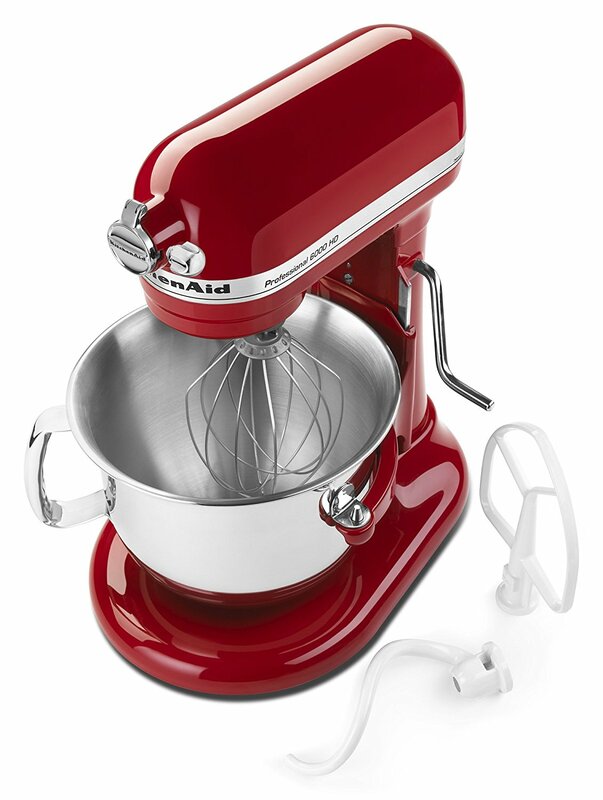 The 6qt bowl on this mixer handles double, and triple, batches of cookie dough with ease. You can purchase additional bowls and attachments that will lead to this being the most used small appliance in your kitchen. 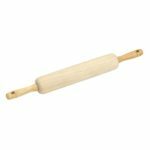 Don’t mess with the classic – a standard wooden rolling pin is the perfect tool for rolling our pie crusts, biscuits, and sugar cookie dough. While you can cut butter into flour using two table knives or your fingers, having a proper pastry blender makes the task go a lot faster. 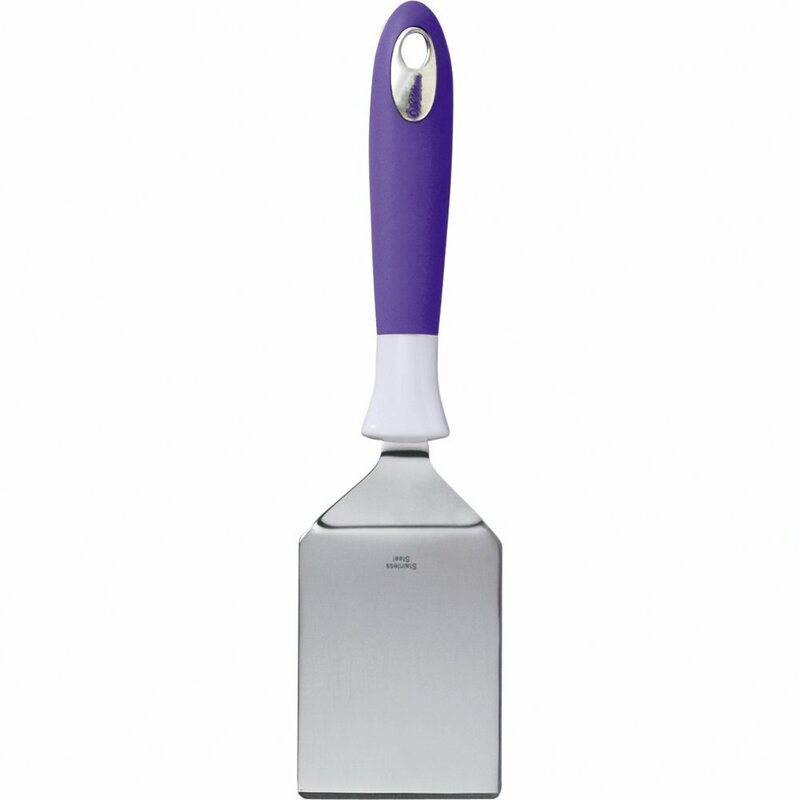 You’re looking for something of solid metal construction that doesn’t bend or break when you use it to apply pressure to butter or shortening. I like the grip on this one as it is more comfortable in my hand than an entirely metal pastry blender. Mesh strainers are a necessity in my kitchen. I use them to strain lemon curd and ice cream base before chilling, to strain my gravy before it goes to the table, to sift dry ingredients together, and for draining pasta. 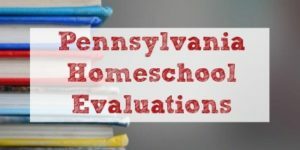 Its a great tool with many uses. 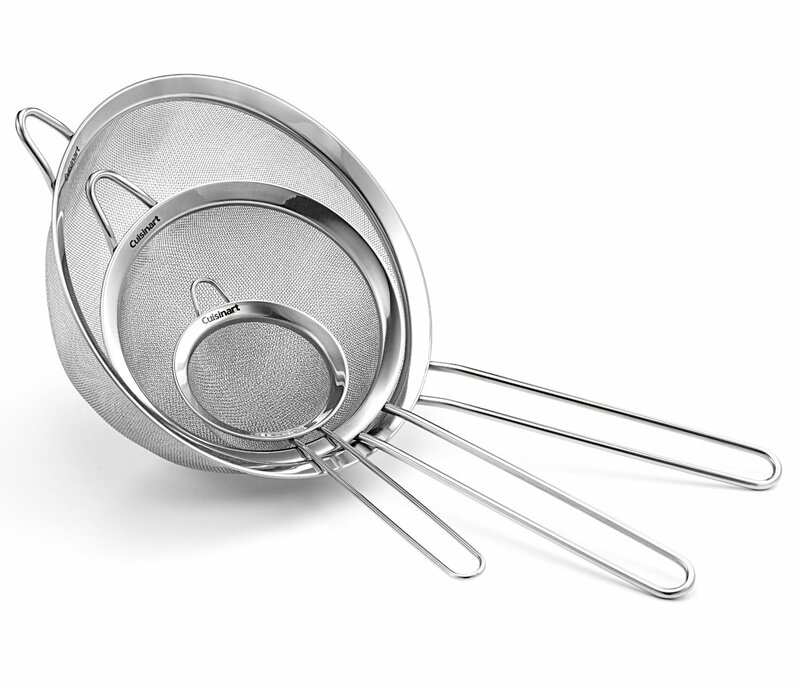 This set of 3 mesh strainers from Cuisinart is a great basic set that can meet all of your needs. 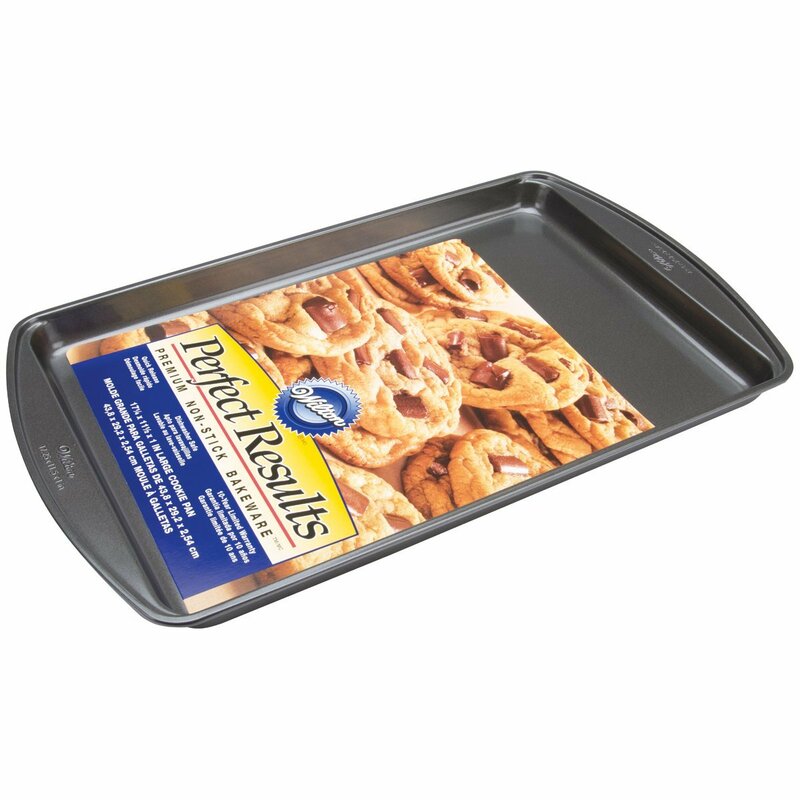 Cooling racks are great for cooling a hot baking sheet or pie pan, or you can use it to cool the actual baked goods once they are removed from the pan. Dough scoops have changed my whole baking world. I use them when I make drop cookies so that they all are the same size and bake in the same amount of time. I use the small one when portioning homemade candy filings. 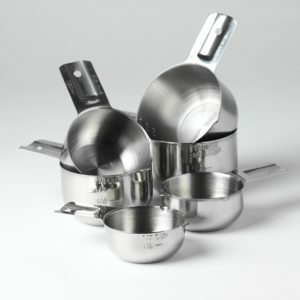 I use the largest scoop when making meatballs, and when portioning cupcake and muffin batter. And of course, you can use them for scooping ice cream and sorbet as well. Since having multiple sizes is useful, I recommend this 3-piece set. Yes, cookie spatulas are a real thing! Most spatulas are so thick that they can’t get under the edges of thin, delicate cookies. 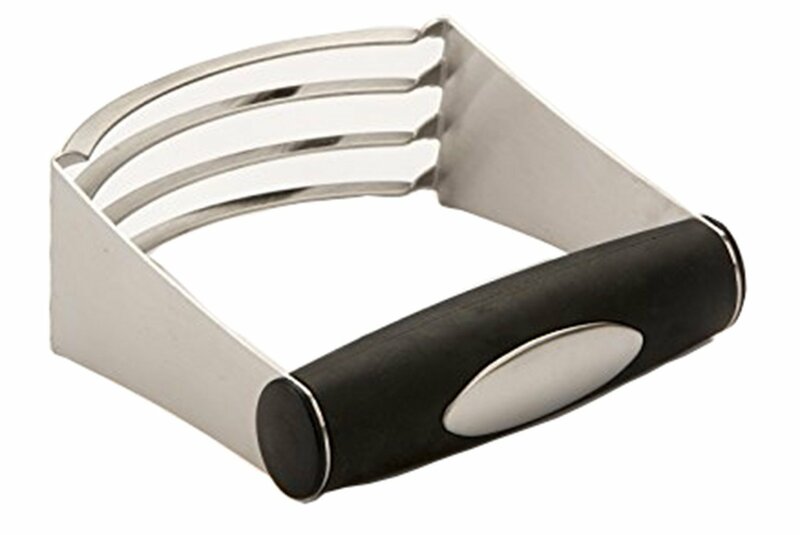 This spatula has a thin metal “blade” that easily picks up your cookies without digging into the finish on your baking pans. Some of these items are specialty items that you may keep on hand for a single recipe, but if its a favorite, then it is well worth it. 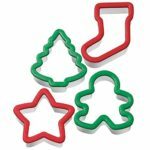 Wilton makes a collection of cookie cutters that have a soft rubber grip on them. 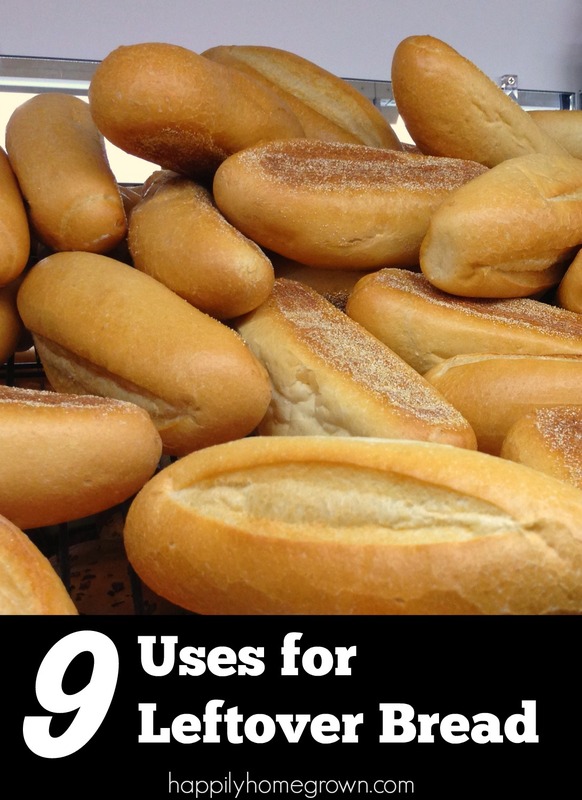 These are great for pressing into chilled dough without hurting your hands. My kids also like them better since they can get a better handle on the grips than on a traditional metal cookie cutter. I have also found that these are not a prone to bending and warping. 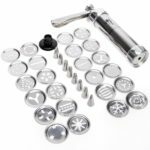 If you like Spritz and Butter Cookies, you will want to have a cookie press. This one comes with a variety of discs for a year of holidays and celebrations, plus specialty tips for piping. I absolutely love my Cuisinart pizzelle press. I love it so much that I actually own two of them to make pizzelle production go more quickly. These irons are used to make a light a delicious Swedish cookies/pastry called a rosette. You dip the rosette iron in the batter and then into the hot oil. There’s really nothing else like them! 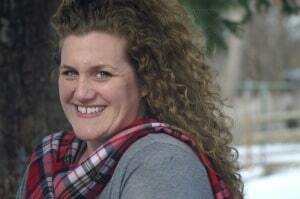 Lots of great ideas! I definitely need to invest in cookie dough scoops! These are all great to have in the kitchen. We splurged on a kitchen aide mixer last year and it was worth the expense for sure! My Kitchenaid stand mixer is a must have in my kitchen. I love it! Yes! Great list! That Kitchen Aid Mixer is a must! It’s always great to have a holiday essentials list. My cousin, who just got married, can definitely benefit from this! I have a pretty stocked kitchen, but I could definitely update my strainers! I also would love different size dough scoops. Hand mixer is so essential! 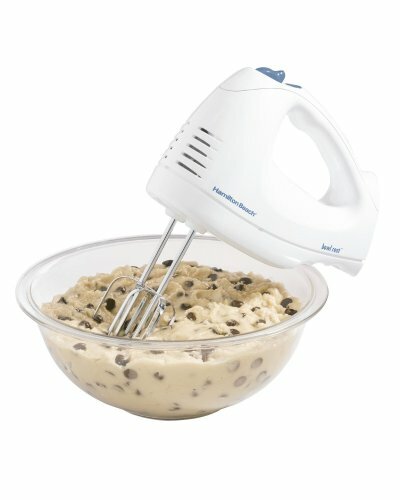 I starting using mine to mix cookie dough instead of a spoon to save so much time! All excellent baking item suggestions! Having multiple sets of measuring cups is always helpful during the baking frenzy too. These are great!! 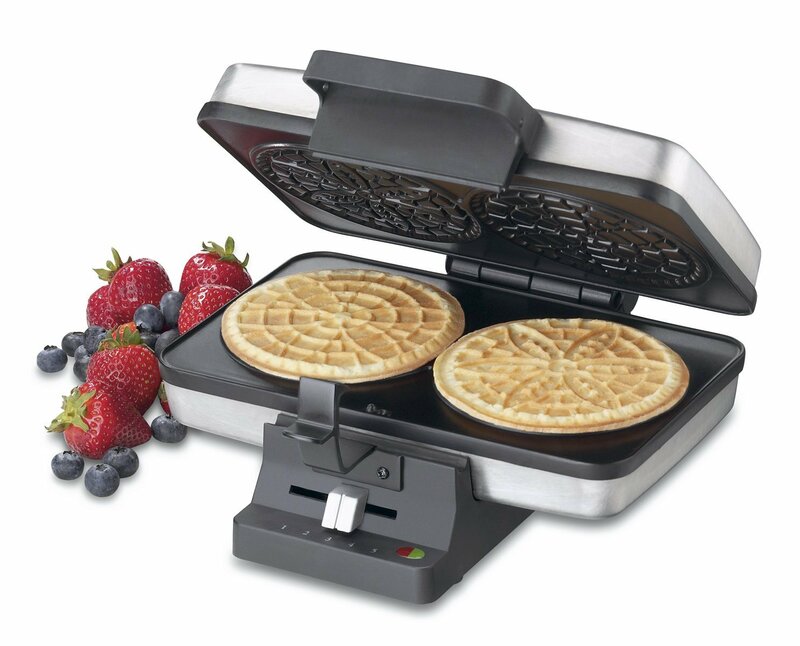 !I have that pizzelle maker too! Love it!! 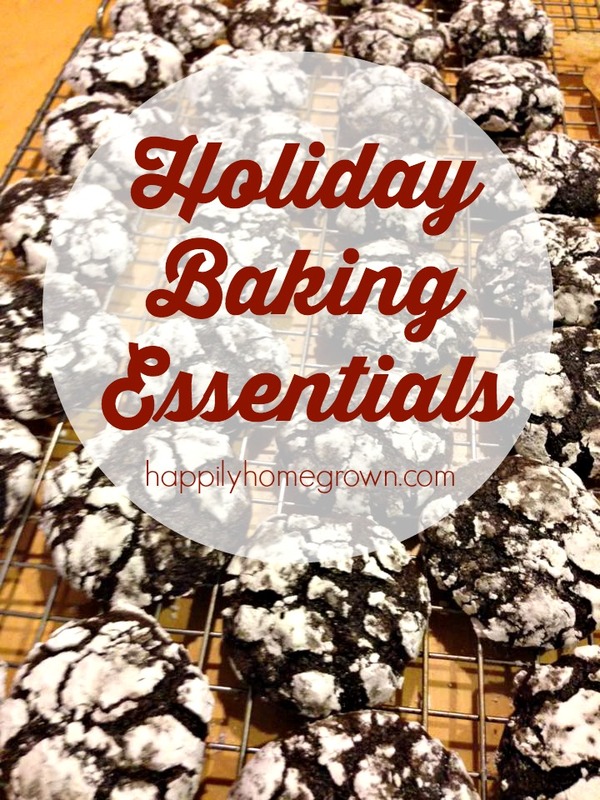 These are all great for those that love to bake or are just starting out. I am definitely expanding my baking essentials.